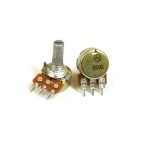 Potentiometers made by Alpha (Taiwan). RV16AF-20-15K type. PCB mount. 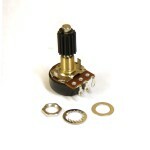 16mm, 15 mm shaft..
Potentiometers made by Alpha (Taiwan). RV16AF-10-15K type. 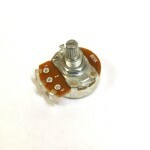 Solder lugs 16mm, 15 mm shaf..
Potentiometer made by Song Huei (Taiwan). 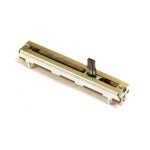 S-type W50k,Slide type. 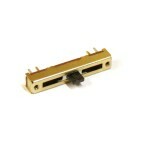 PCB mount. 60mm length. 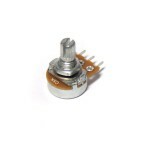 ..
Potentiometer made by Song Huei (Taiwan). W50k, Slide type, center detent. PCB mount. 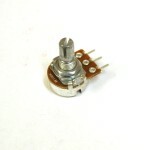 35mm l..
Potentiometers made by Song Huei (Taiwan). 16mm series, 16K1 type PCB mount 16mm, 15mm s..
Potentiometers made by Song Huei (Taiwan). 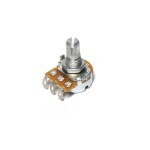 24mm series, 24K1 type Solder lugs 24mm, 15mm..
Wah Potentiometer 100k with dust seal 100k heavy duty long life wahwah pot. 300deg. ..